Presenting Lee’s poster for the 2017 PGA Championship at Quail Hollow, his fifth poster for the year’s fourth and final Major. 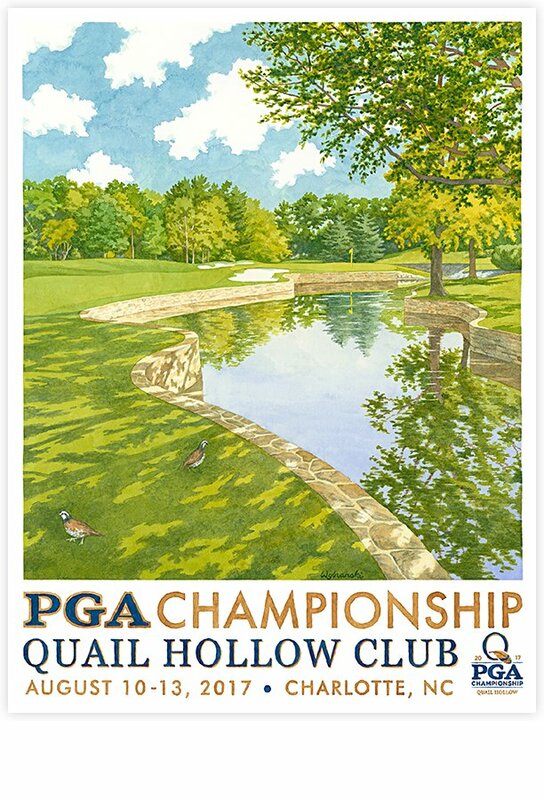 The artwork depicts the sun-drenched 7th hole at Quail Hollow, a course already known and loved by Tour players as the home of the annual Wells Fargo Championship. This promises to be an exciting event as it is the first of golf’s Major championships to visit the great city of Charlotte.